It’s been two years since the University of California went smoke and tobacco free on its campuses, but not everyone knows or abides by the rules. UCLA undergraduate Elaine Cheung wants to change that: As one of UC’s first Smoke- and Tobacco-Free Student Fellows, she plans to spend the coming year educating the UCLA community and empowering people to speak up when they see policy violations. Cheung is one of four UC students awarded $12,000 fellowships aimed at reducing the health hazards of smoke and tobacco on UC’s campuses. UC President Janet Napolitano launched the pilot program earlier this year, with the goal of fostering the next generation of leaders who are passionate about improving public health and combating the adverse effects of tobacco products. The four fellows were selected by a peer review committee that included 11 scientists, advocates and public health officials, said program officer Phillip Gardiner, Ph.D. The awards are being administered by UC’s Tobacco Related-Disease Research Program (TRDRP). The fellows started their one-year terms at the beginning of July. An undergraduate studying bioinformatics, Zou will assess the potential epigenetic and carcinogenic effects of e-cigarette usage by investigating alterations to DNA methylation patterns in oral epithelial cells following exposure to e-cigarette vapor. Adhami, a doctoral candidate in cell molecular and developmental biology, will study the effects on mice to exposure in-utero and during lactation to thirdhand smoke, and whether or not these effects persist through adulthood. Abdiwahab, a doctoral student in epidemiology and biostatistics, seeks to educate community members and the San Francisco Board of Supervisors about the need to regulate the sales of menthol cigarettes and other flavored tobacco products. Cheung, an undergraduate studying neuroscience, seeks to strengthen campus community norms supportive of freedom from nicotine/THC exposure in all its forms, including cigarette smoke and e-cigarette vapor. 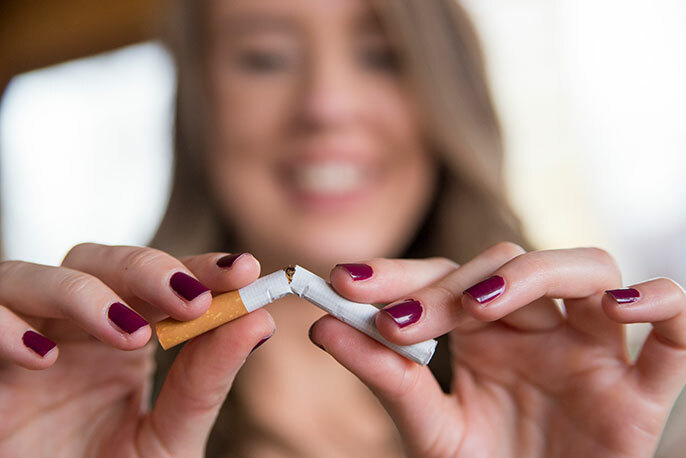 UC has a long history as a leader in research and community education projects aimed at illuminating the adverse effects of tobacco-related products. UC helped create the Framework Convention on Tobacco Control, the first international treaty to focus on that topic. UC researchers also developed and patented the transdermal nicotine patch, a cornerstone of tobacco-cessation therapy. Under the auspices of the TRDRP, UC has continued to drive research into the health effects of second and thirdhand smoke; regulation and health impacts from e-cigarettes; analysis of the tobacco industry and its marketing practices; and study of tobacco-related health disparities, particularly as they affect immigrant groups, people of color and youth.